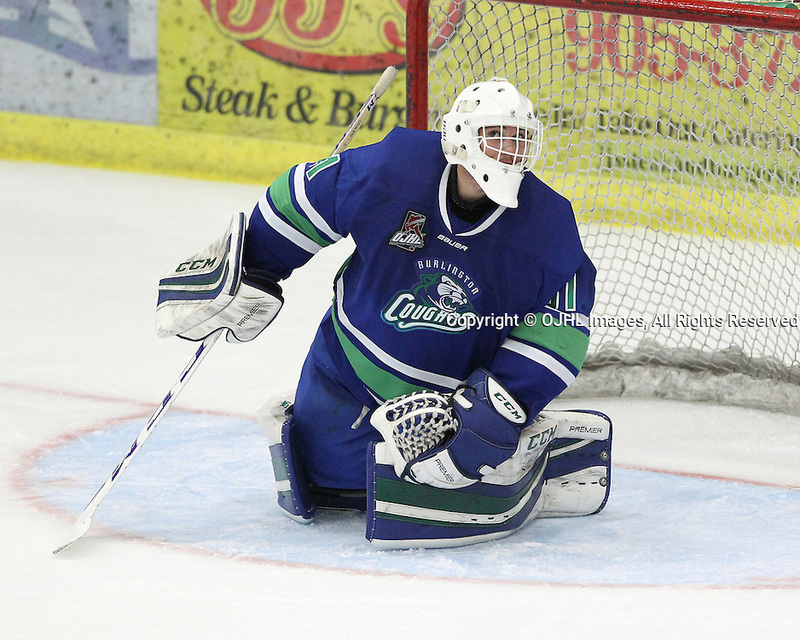 Ontario Junior Hockey League game between the Burlington Cougars and the Cobourg Cougars. COBOURG, ON - FEB 6, 2017: Ontario Junior Hockey League game between the Burlington Cougars and the Cobourg Cougars. Mario Cavaliere #31 of the Burlington Cougars follows the puck during the third period.